For wildlife enthusiasts, Hemingways Collection has put together the perfect holiday to experience two dramatic wildlife experiences in Kenya between July – September, viewing both the wildebeest crossings in the Mara and humpback whale migration on the coast at Watamu, all in one trip. First for the wildebeest–head out from Ol Seki Hemingways Mara after an early breakfast to await the dramatic crossing of hundreds of wildebeest at the Mara River. On the way, enjoy the chance to see cheetah, lion, giraffe and elephant before arriving at the river with the hope of witnessing nature at its most dramatic. The danger of crossing the river means that the wildebeest wait on the banks until the pressure of animals behind force the crossing. 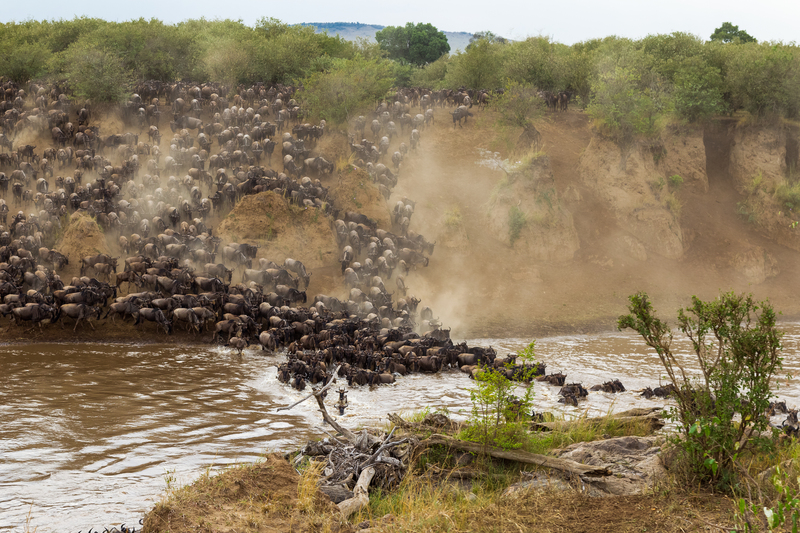 Here come hundreds to thousands of wildebeest leaping through the river on a bid to get to the other side as fast as possible. Lunch can be taken at the river, or the Hemingways team will set up a shaded lunch spot so that guests can stretch their legs. After an unforgettable day enjoying the wildebeest and wildlife, head back to stay in one of Ol Seki’s ten luxury safari tents, each with 270º views over the Mara plains, and enjoy the warmest Kenyan hospitality with breathtaking views and a sundowner on the fire deck before dinner. 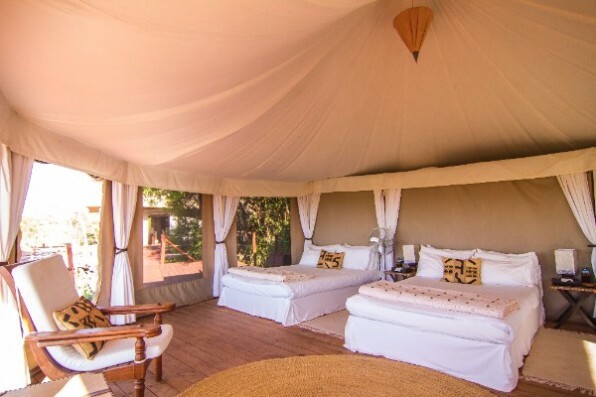 Ol Seki Hemingways Mara camp is both family friendly and wonderfully romantic in equal measure; families will love interconnecting tents at Ol Seki, with plenty of room for everyone and no minimum age. Next, fly down to the Kenyan coast to stay at the recently renovated Hemingways Watamu, fresh from a multi-million-dollar transformation. 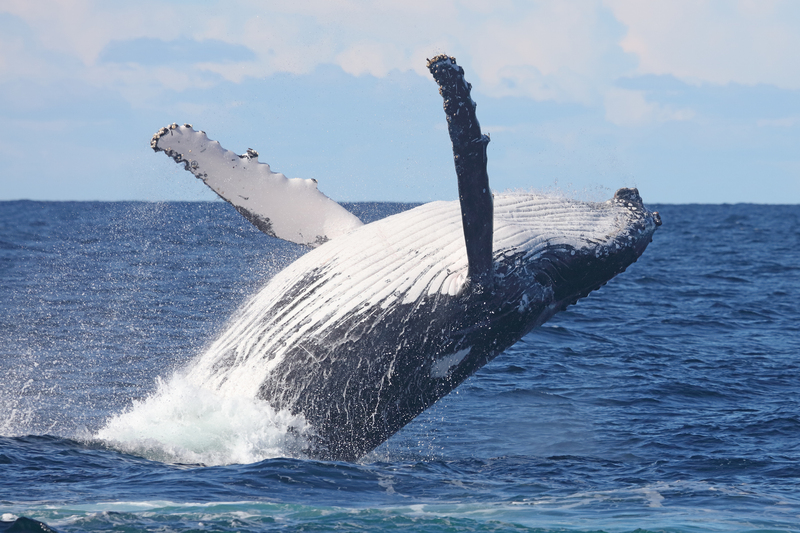 The humpback whales can sometimes be seen from the land in Watamu as you sip a cold beer at Hemingways legendary bar. 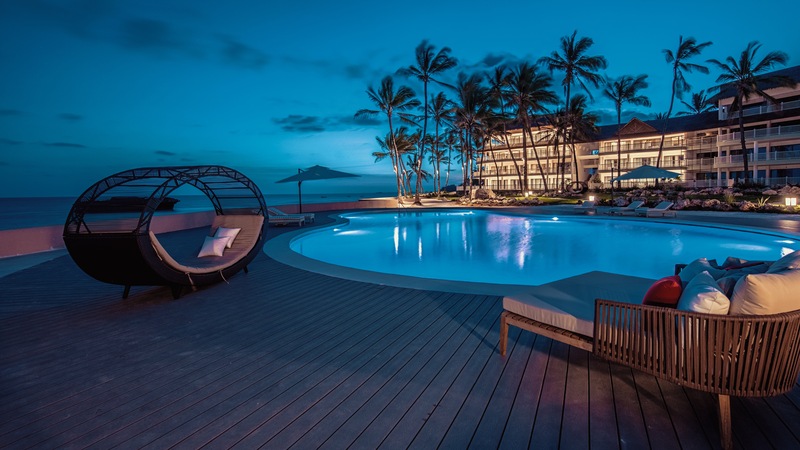 The hotel is on a 7km stretch of tropical beach, shaded by lazy palms – a wonderful spot for romantic strolls along the sand, or just to kick back and slow down with the family. The hotel is set within the Watamu Marine National Park – home to turtles, barracuda, whale shark and wonderful coral reefs. Spend days snorkelling on the reef, learning to dive, paddle board, or on dhow boat trips. Offered exclusively by Hemingways Collection, the combination of the hump back whale migration and the wildebeest migration brings together two of nature’s most spectacular events in one week. The Double Migration trip is charged from $3,186 per person, based on two sharing. This 7 night / 8 day trip includes three nights at Hemingways Ol Seki Mara (full board including house drinks plus one shared vehicle with one full day in the park), four nights at Hemingways Watamu in an Ocean View room (B&B basis including two whale watching trips and one snorkeling trip), domestic flights (via Nairobi) and airport transfers. Subject to availability. 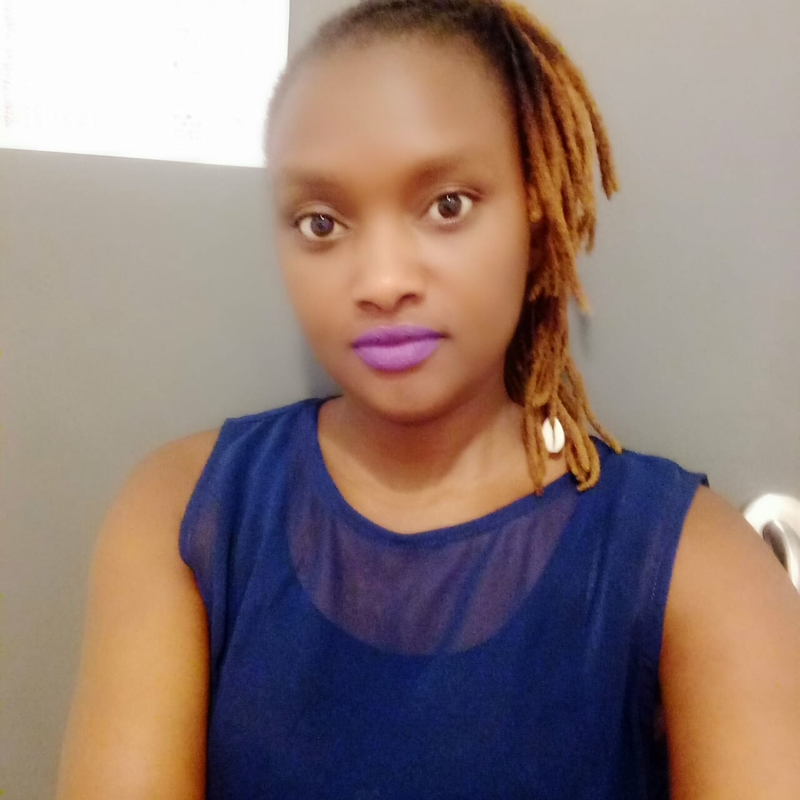 HEMINGWAYS NAIROBI – THE PERFECT EASTER STAYCATION! Hemingways Nairobi, the perfect place to stay this Easter holiday. Great place to hangout with family or friends. Spacious rooms, delicious meals and exceptional services.